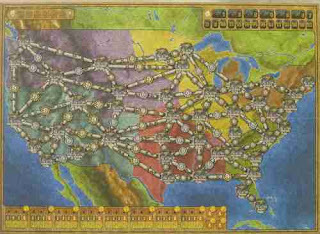 In Power Grid you have to buy and operate power plants to provide electricity for as many cities as possible. 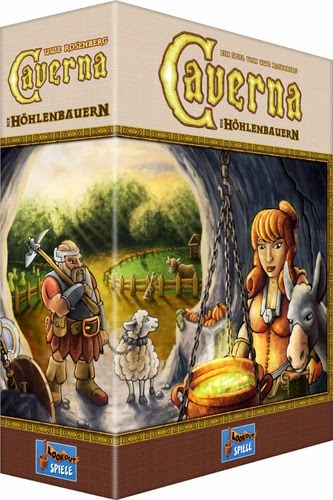 The game comes with two boards, so you can decide whether to play in Germany or in the US. 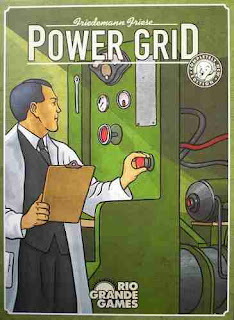 The box contains a huge board (thick and mounted cardboard), a lot of wooden cubes and a set of cards representing the different power plants. The quality of all components is great, I also like the design which fits to the topic. Each turn is divided into five phases. First of all the player order has to be determined, followed by the "auction phase" where each player can buy a new power plant. In the third phase resources have to be bought to be able to operate the power plants and afterwards (in the "building phase") each player is working on enlarging his network of cities on the map. Finally some bureaucracy has to be done - mainly the players receive money for all the cities they can supply with electricty. The game ends when the first player has built 17 cities. The game is very well-designed and also well balanced. Basically it is all about optimizing your moves and using your resources as efficiently as possible - which is really a lot of fun. I also like the idea of the resource market, which is simulating supply and demand in a great way. If you don't mind a little bit of calculating to find the best way to build your network (especially later in the game) you will like this fine game for sure. From the publisher: The object of Power Grid is to supply the most cities with power when someone’s network gains a predetermined size. In this new edition, players mark pre-existing routes between cities forconnection, and then vie against other players to purchase the powerplants that you use to supply the power. However, as plants are purchased, newer more efficient plants become available so you’re potentially allowing others to access to superior equipment merely by purchasing at all. Additionally, players must acquire the raw materials, like coal, oil, garbage, or uranium, to power said plants (except for the highly valuable ’renewable energy’ wind/solar plants), making it a constant struggle to upgrade your plants for maximum efficiency while still retaining enough wealth to quickly expand your network to get the cheapest routes. Good review of my favourite game! !